Mon. - Fri. 9am - 6pm. Talk to a human. Quick answer. www.JLTheatersAndCCTV.com. © Copyright 2019. All Rights Reserved. 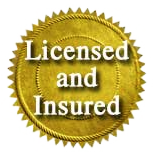 Licensed & Insured.